Mahmoud A.Y. Helal, Marawan A. Marawan, Halla E.K. El Bahgy. Lumpy skin disease (LSD) is an economically important viral disease of cattle caused by Capripox virus. The disease is characterized clinically by fever, nodules on the skin, mucous membranes and internal organs, emaciation, enlarged lymph nodes, edema of the skin and deaths in some cases. The aim of this study is to investigate the clinico-biochemical picture of LSD infected cattle with special reference to the cardiac abnormalities. This study was carried out on LSD infected cattle showing typical clinical signs of the disease in Kaliobia governorate (ğ�‘› = 50; and aged between 2 to 5 years old). Clinical and electrocardiographic examination (ECG) were performed firstly, then skin nodules were aseptically collected from infected cattle for molecular detection of LSDV using PCR, on the other hand, serum samples were collected for biochemical analysis. 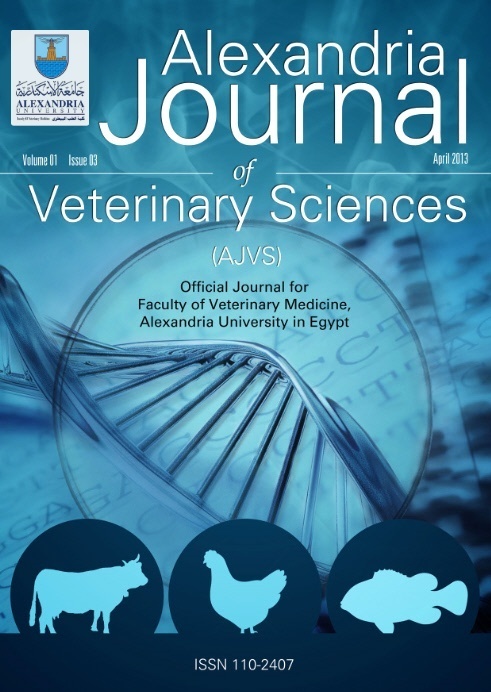 The results of the current study revealed that, all examined tissue samples showed successful amplification of the viral attachment protein gene of LSDV with presence of positive bands at the target size (192 bp). Furthermore, troponin I (cTnI), urea, creatinine ALT, AST, ALP and potassium were significantly increased in LSD infected cattle compared to the control ones. In contrast, serum calcium, iron and sodium concentrations were significantly decreased. The ECG of LSD infected cattle showed abnormal P waves, shortening of P and T-waves amplitudes and decrease in RT interval compared to healthy cattle. The cardiac alterations in case of LSD infection could be related to the elevation of cTnI because of direct effect of the virus on the heart beside electrolyte imbalance, acidosis and hypocalcaemia.